Gluten Free options available. Please call ahead as some require advanced notice. 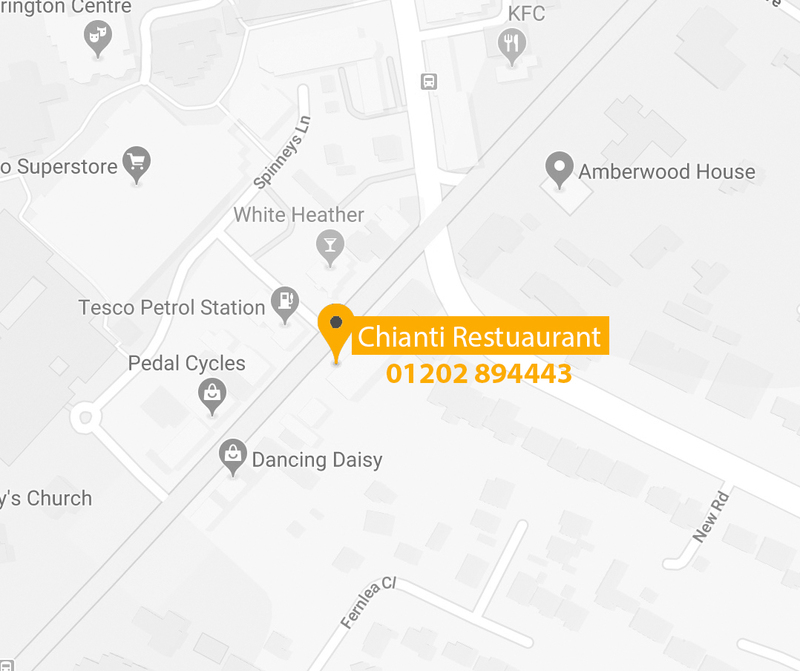 Chianti’s is situated in Ferndown, Dorset. It was opened in 1991 by Alberto & Mosi who have 73 years of catering experience between them. Initially a 35 seated restaurant, in 2000 it became a 80 seater restaurant. 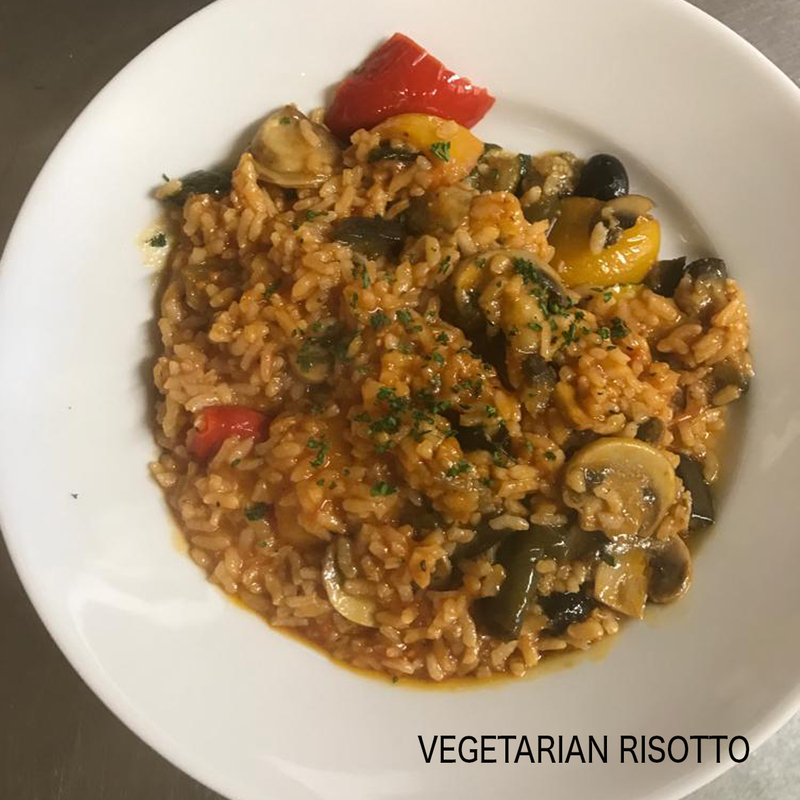 It is a fully licensed Restaurant that has its own separate bar area available for private hire and including a selection of fine Italian wines. 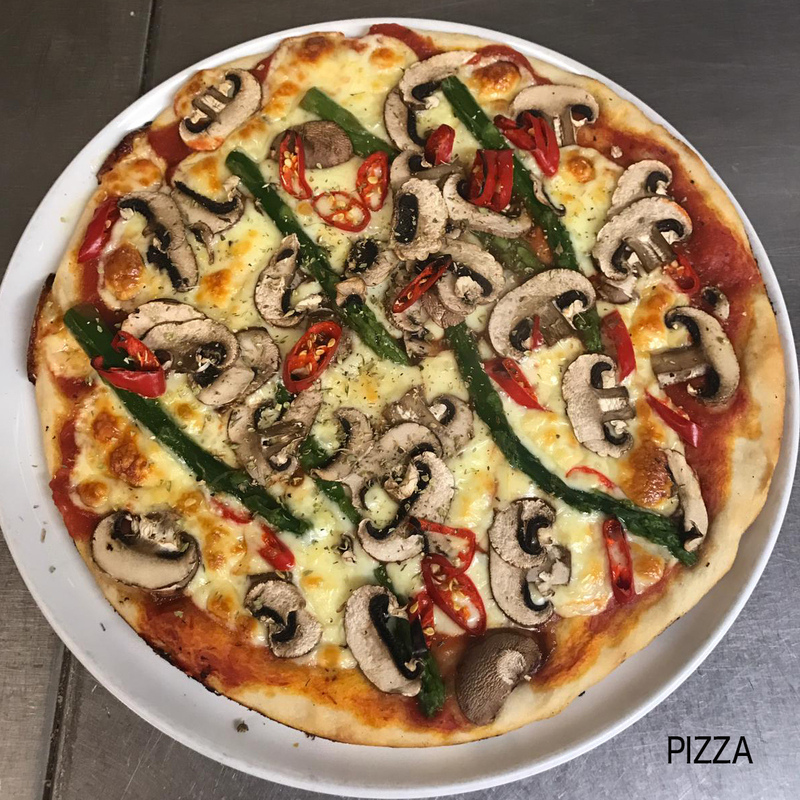 It prides itself on serving authentic Italian cuisine using the freshest and finest ingredients in a friendly and relaxed atmosphere. 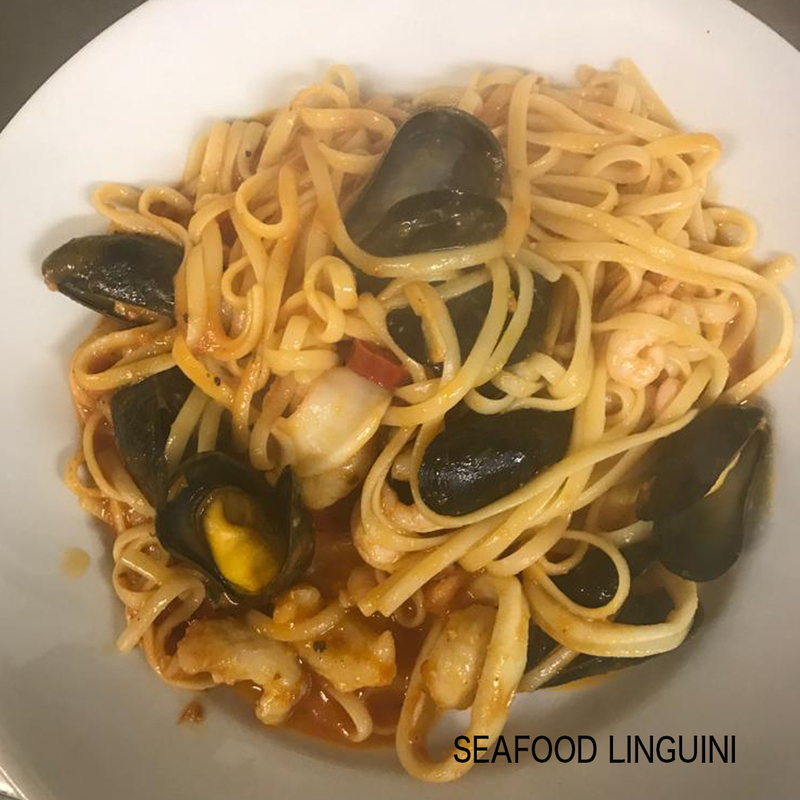 Not only does Chianti Restaurant pride itself on serving fine Italian Cuisine, it also prides itself on providing an excellent customer service amply demonstrated by the number of customers who have been dining at the restaurant for over 18 years. Chianti’s are able to offer a Takeaway service. Gift vouchers are available on request. Take a look at our full menu with classic Italian dishes and Chianti specials. Choose from Pizza, Pasta, Meat, Poultry, Fish and Vegetarian options. Why not try one of our mouth watering desserts and / or a fine Italian wine. Whether you want to take seat in our restaurant or order a takeaway, we will be happy to serve you. If you wish to book your table within 24 hours, please call on 01202 894443 as during busy times your email may not be attended to as quickly.